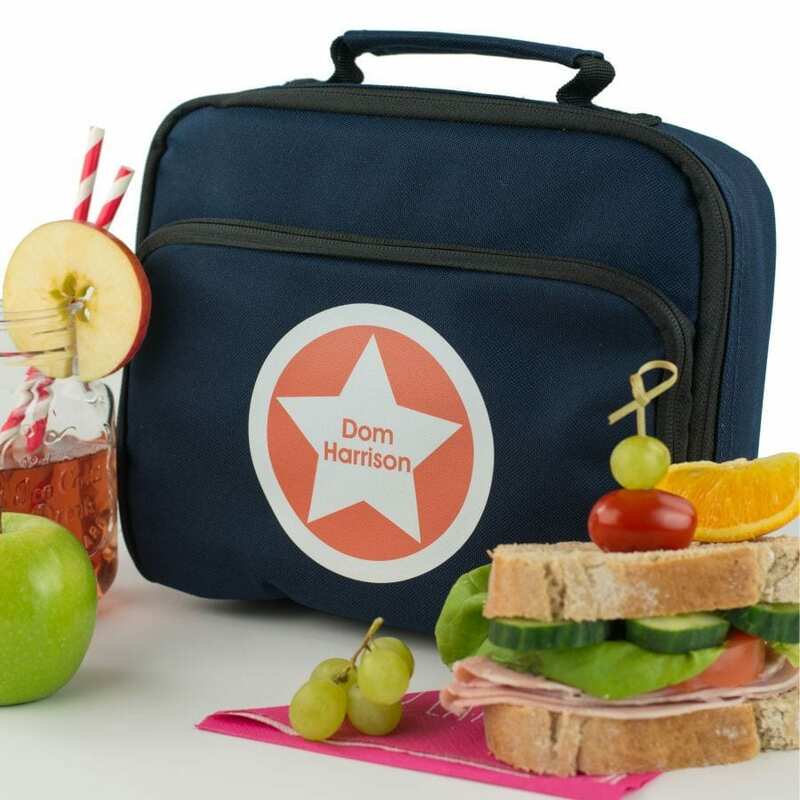 A personalised kids lunch bag is just perfect for nursery, school or day trips. And will also useful in a busy household where lots of packed lunches are made. Personalised lunch bags help to ensure everyone gets the correct lunch. Name it Labels offers a variety of personalised lunch bags. 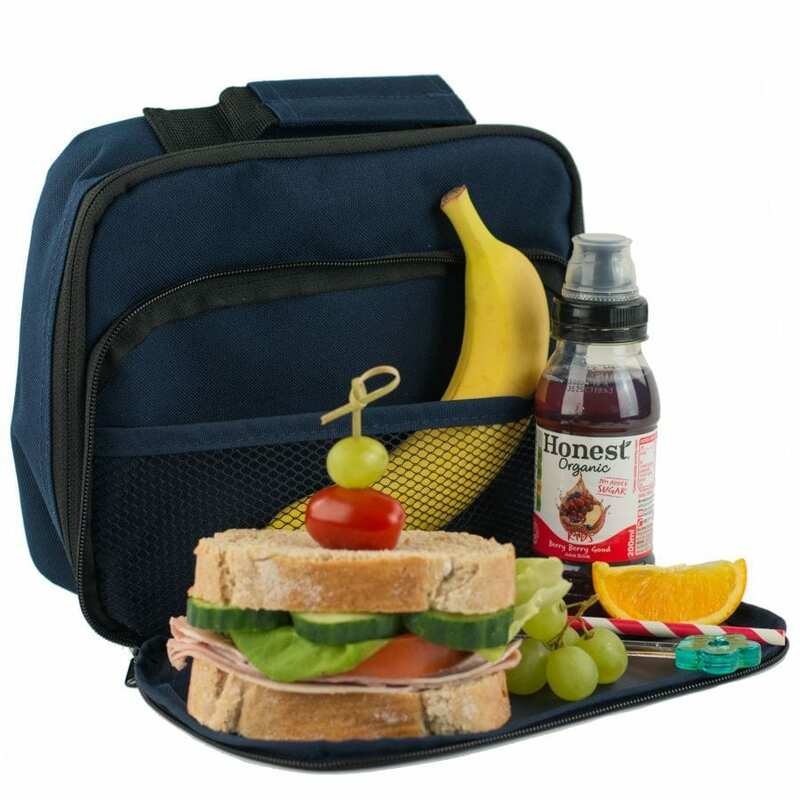 This lunch bags are insulated with a wipe clean interior. Spacious in design. This lunch bag measures 24 x 20 x 8cm. 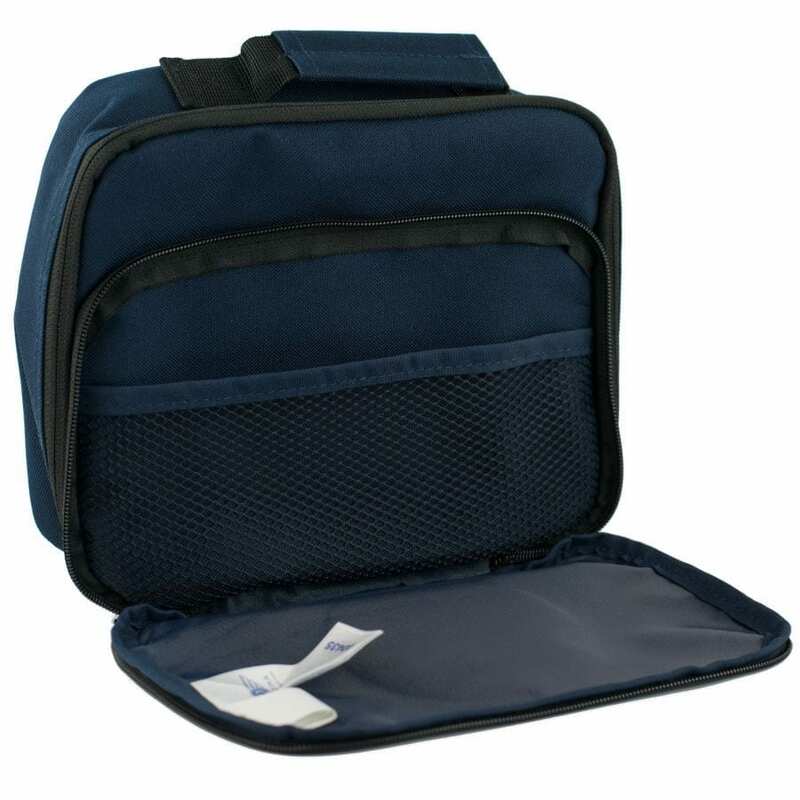 It comes with a main zippered compartment and a fab external pocket which has a lovely little mesh pocket. The handy grab handle is perfect for carrying or hanging on a peg. 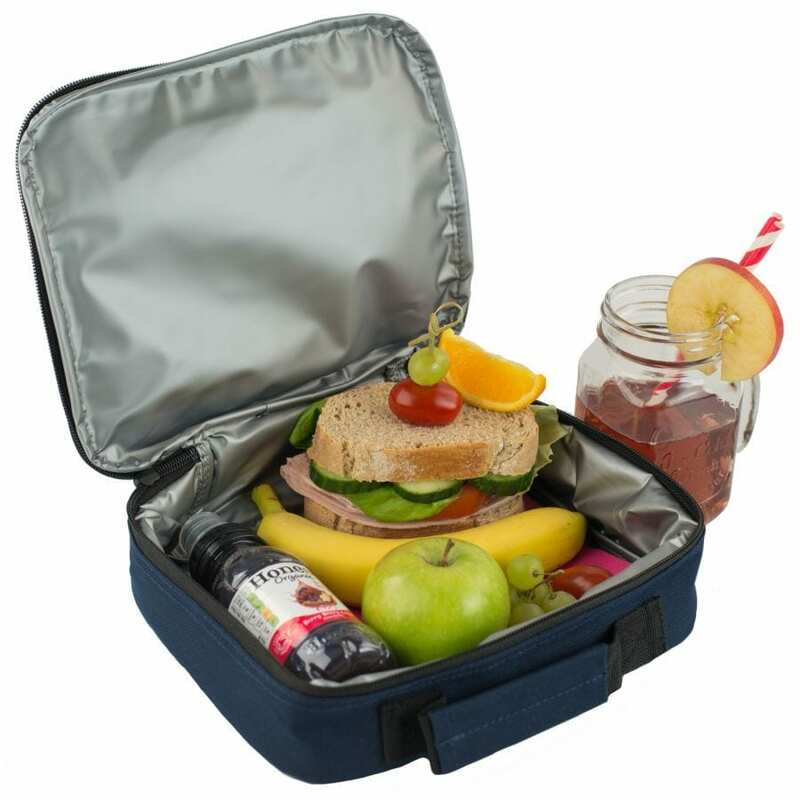 The lunch bag comes in 4 classic colours, sky blue, black, french navy or classic pink. 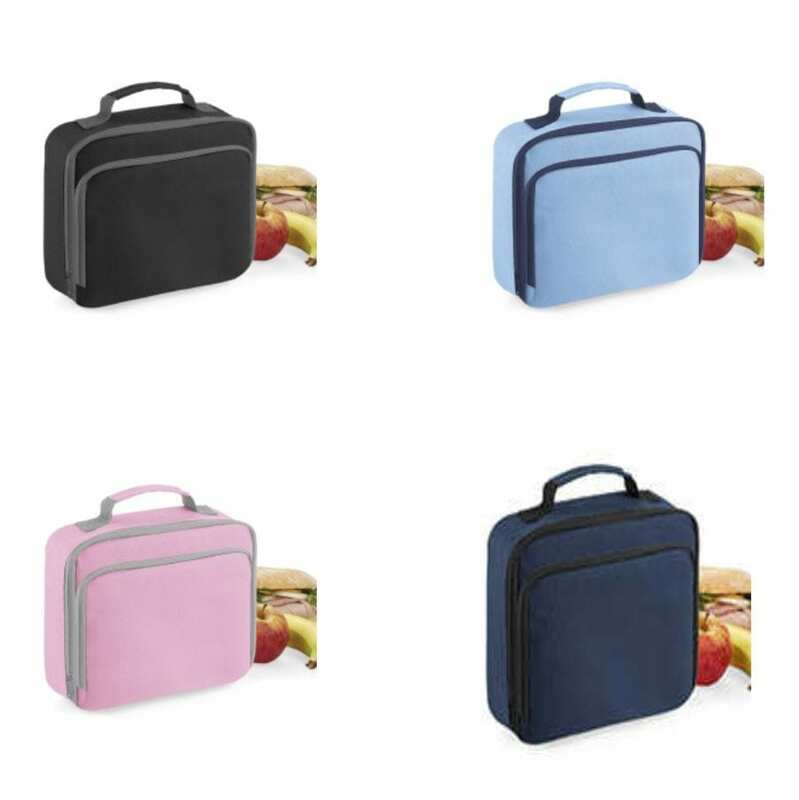 Simply choose your lunch bag colour and then favourite design colour. 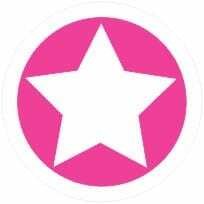 Our star circle is one of our iconic designs and always popular. This design comprises of bold coloured circle with white outer edge. A large white star sits in the middle of the coloured area. Your chosen name will be printed in the middle of the star. Name will be in the same colour as the circle colour. Customers can choose to have just the Christian name or Christian name and Surname. If choosing both, the name will be spread over 2 lines as shown on this product page. 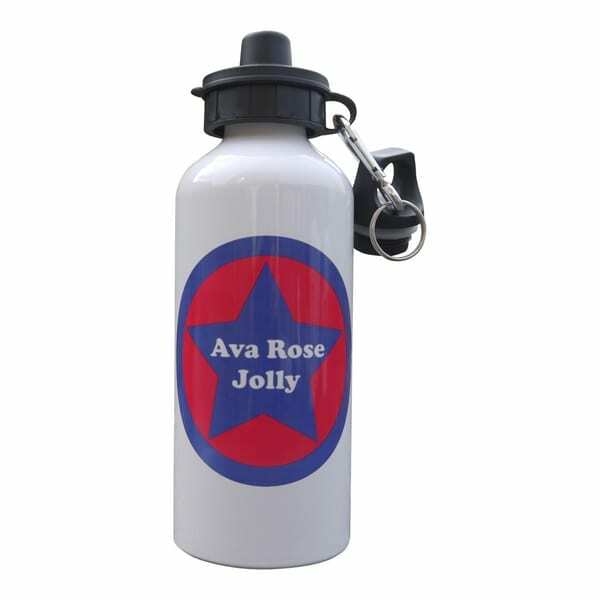 This design is also available in personalised drink water bottles. A personalised kids lunch bag makes a practical personalised gift for a child starting school, or for Birthdays.